Aromatherapy is a form of herbal medicine that uses the fragrance of essential oils of certain plants to heal immune and nervous system problems. 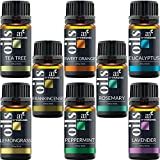 Essential oils are highly concentrated aromatic extracts which are distilled from a variety of aromatic plant material including grasses, leaves, flowers, needles & twigs, peel of fruit, wood and roots. 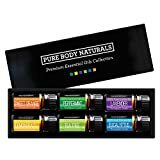 These essential oils can be administered through massage, as internal medication, in baths or showers, as room fragrances and in food. Some randomized controlled trials have suggested that the oils of certain flowers (like lavender) may have antidepressant and anti-anxiety properties. Claims that Aromatherapy is an effective complementary therapy for managing chronic pain and for boosting the immune system do not seem to be supported as yet by clinical evidence. 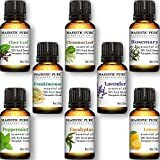 Essential Oils are available in a huge range of fragrances.